G.P. Putnam's Sons, 9780735214439, 320pp. For fans of Min Jin Lee's Pachinko and Lilac Girls, the heartbreaking history of Korea is brought to life in this deeply moving and redemptive debut that follows two sisters separated by World War II. Korea, 1943. Hana has lived her entire life under Japanese occupation. As a haenyeo, a female diver of the sea, she enjoys an independence that few other Koreans can still claim. Until the day Hana saves her younger sister from a Japanese soldier and is herself captured and transported to Manchuria. There she is forced to become a “comfort woman” in a Japanese military brothel. But haenyeo are women of power and strength. She will find her way home. South Korea, 2011. Emi has spent more than sixty years trying to forget the sacrifice her sister made, but she must confront the past to discover peace. Seeing the healing of her children and her country, can Emi move beyond the legacy of war to find forgiveness? Suspenseful, hopeful, and ultimately redemptive, White Chrysanthemum tells a story of two sisters whose love for each other is strong enough to triumph over the grim evils of war. Mary Lynn Bracht completed an MA in Creative Writing at Birkbeck, University of London. An American author of Korean descent living in London, she grew up in a large ex-pat community of women who came of age in postwar South Korea. 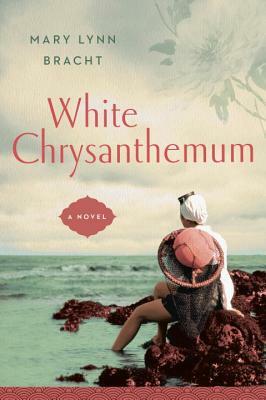 In 2002, Bracht visited her mother's childhood village, and it was during this trip she first learned of the “comfort women.” White Chrysanthemum is her first novel.